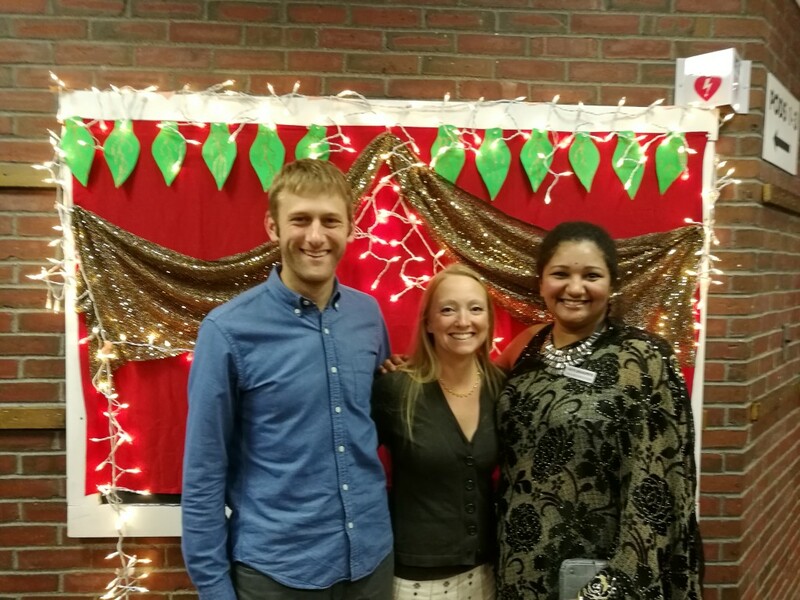 Bild Architecture’s Evan, Sasha, and Kavya recently attended the India Association of Maine’s 2017 Diwali Festival. We were inspired by beautiful traditional dress, traditional Indian performance including dance and martial arts, and were completely stuffed with delicious food! 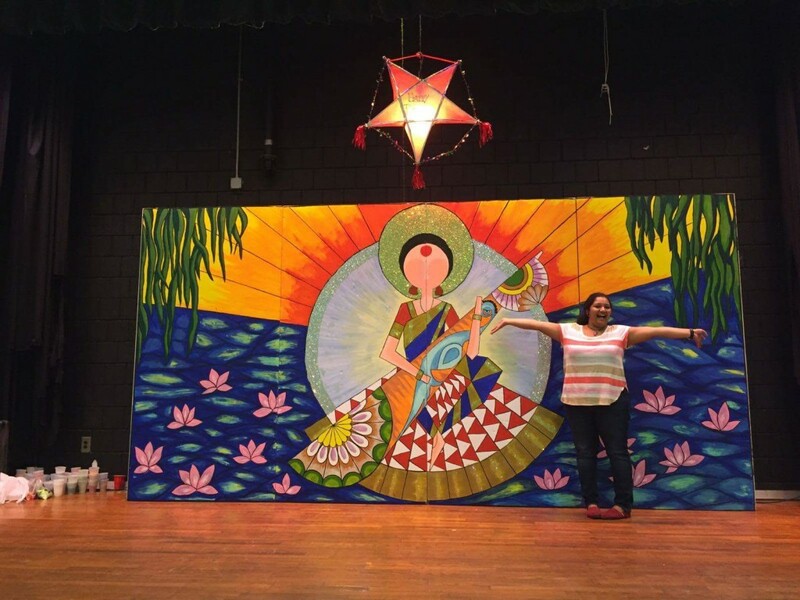 Kavya has been deeply involved in the Diwali celebration committee for a few years now. Never had I imagined in my life that my training in Architecture, every single lesson learned will come in handy not only for Architecture projects, but the projects not related to architecture at all. Diwali festival (festival of lights) comes once a year around Autumn. India Association of Maine (IAM), which is a non-profit organization run only by volunteers, celebrates this festival in a grand scale by inviting everyone to a social gathering which is a visual treat to watch everyone chatter, laugh, dance, and eat the most delicious homemade food made by the Indian community members. I was fortunate to be a part of the planning committee at the IAM and I was given a huge responsibility: To paint a backdrop for the stage. The real panic began. I had to paint a larger than life size backdrop; 4 panels measuring 4ftx8ft each. Design-wise I took an easy route of going symmetrical so that I had to think of only half portion at a time. There are so many shapes geometry offers to designers, but I had to choose a circle infinite, whole, complete. The whole design was an abstract version of Goddess Saraswati – Goddess of education and knowledge, sitting on a lotus, on water with her musical instrument called ‘veena’. After the initial struggle of drawing a circle almost 7ft in diameter, I had fun breaking all the elements into smaller sections, detail it, get the symmetry right, decide and balance the warm and the cool colors, everything I had learned in my earlier years of architecture. biggest piece of artwork was shining through. I could not be more proud. I believe that if not for architecture training, I would not have been so successful in making it at all. The event went smoothly, but, Evan and Sasha joining us with their entire family for the event made it extra special!